You will be happy to know that the site contains all your favorite brands and retailers. From Amazon, Newegg, WalMart, Adorama, Target to Canon, Nikon, Sony, Samsung, Panasonic and Fuji, the site, Plaza101.com, is home to all popular stores and brands in the market of digital cameras and accessories. You can find all recognized online retailers/stores here for your liking. The top offerings have been gathered from discounted deals all around e-commerce with as low as 10% off sales. You will certainly witness a well-crafted variety of products that lie in the category of digital cameras and useful in the art of photography. These can be from point and shoot to DSLR cameras and also, the cameras used for underwater photography. Don’t forget to look into camera accessories like tripods, monopods, bags or cases, flash cards, cables, photo frames and more. You can select your favorite brand or store to filter the search to buy with confidence. 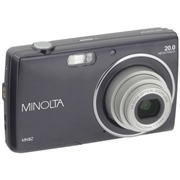 Plaza101.com is a price comparison site which can save a lot in buying any digital camera. All the prices of multiple stores after discounts on them are compared by our professional team. In the end, we get to show you the lowest priced product from one of the best merchants from which shopping is not only easy but secure also. Do make use of these offers to save money while buying online. Please Note: We compare the products prices from over 60 million products and thousands of stores to find the best digital camera deals for you. We do our best efforts to verify the products prices displayed on Plaza101.com. Merchants can change the digital camera sale prices anytime without notice. Please always confirm the final price before you buy digital camera at the merchants website.